Whether you fly directly to Cheetah Plains on one of the daily scheduled flights from Johannesburg or Nelspruit, a flight from Madikwe to Sabi Sand or decide to do a self-drive, Cheetah Plains is easily accessible by both road and air. Transfers from Nelspruit are available on request. To request private chartered flights, please contact our reservations office. Gate fees are payable in cash upon arrival. Airstrip passenger taxes apply for passengers on all flights. *Subject to change without notice – please check with reservation office at time of making a booking. 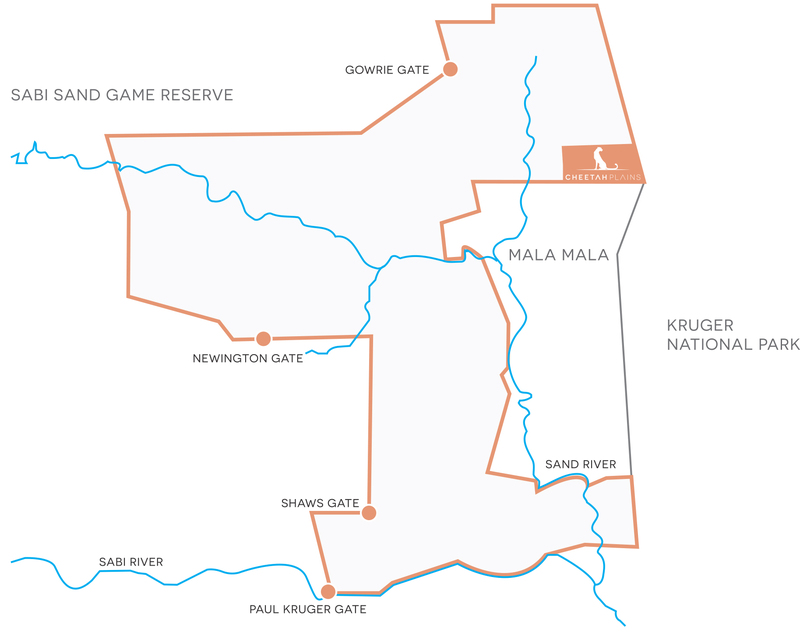 Airports are located within easy driving distance to Cheetah Plains, Arathusa Airstrip approximately a 20 minute drive within the reserve, Hoedspruit Airport a 1.5 hour drive and Kruger Mpumalanga International Airport 3 hour drive. Road transfers from Hoedspruit Airport or Kruger Mpumalanga International Airport can be booked directly through Cheetah Plains. Please note that it is advisable to carry a small duffel bag or soft case (20 kg limit) in your main suitcase for your time at the lodge. The airlines don’t accept rigid cases, but will store them while you are at the lodge, so you will have to pack your soft bag with your clothing and other equipment for your safari, and then leave the hardbox suitcase at the airline offices, where they will take care of it. Charter flights can be arranged any other day of the week – for more information or to make a booking email us.